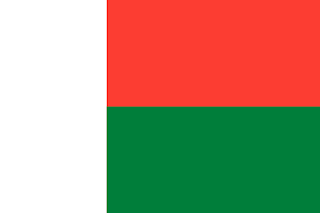 Madagascar, an island nation off the coast of Africa, adopted its flag 2 years before a referendum on its status within the French Community. It is a simple flag of red, white, and green. A white vertical bar along the hoist of the flag, with the rest of the flag split horizontally between red, and green. 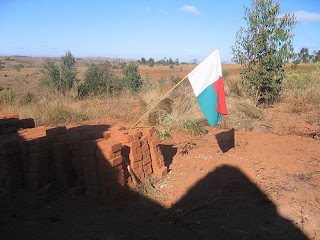 The colours come from Madagascar's history, its yearning for independence, and the traditional classes. Red and white comes from the colours of the Merina Kingdom, and the green represents the Hova, a class of people who played an active role in agitating against the French.